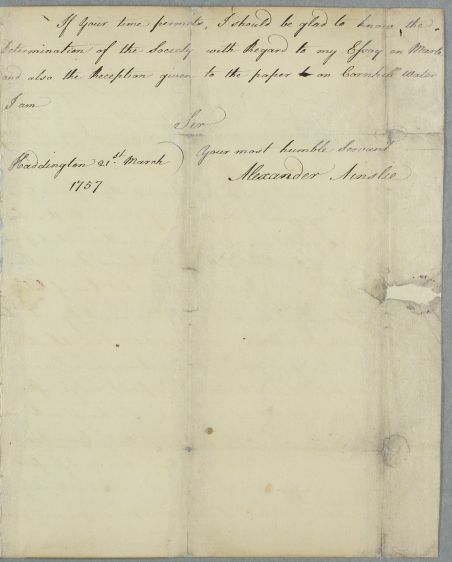 Letter from Alexander Ainslie, in Haddington, regarding an eleven-year-old girl with a 'phlegmatick constitution' and many complaints, with a description of her treatment so far. Ainslie also asks about 'the determination of the Society with Regard to my Essay on Marle', and 'the Reception given to a paper on Cornhill Water'. This letter is unique in the 'Consultations' archive for being addressed to Cullen in World's End Close, which is where he lodged when he first moved post to Edinburgh in 1755. 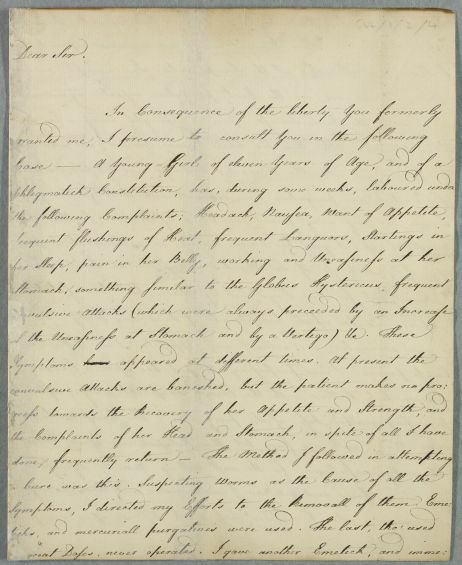 Summary Letter from Alexander Ainslie, in Haddington, regarding an eleven-year-old girl with a 'phlegmatick constitution' and many complaints, with a description of her treatment so far. 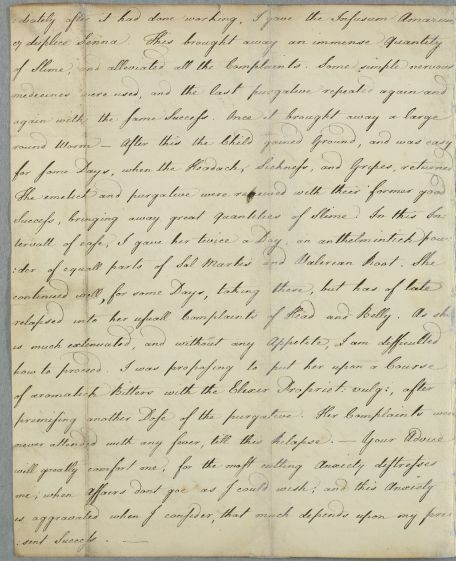 Ainslie also asks about 'the determination of the Society with Regard to my Essay on Marle', and 'the Reception given to a paper on Cornhill Water'. 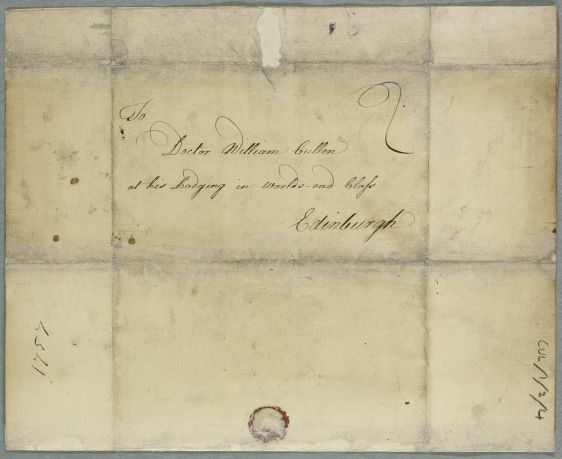 This letter is unique in the 'Consultations' archive for being addressed to Cullen in World's End Close, which is where he lodged when he first moved post to Edinburgh in 1755. Case of an an eleven-year-old girl with a 'phlegmatick constitution' and many complaints. for some Days, when the Headach, Sickness, and Gripes, returned. 1: This almost certainly refers to the Royal Medical Society Edinburgh (established 1737; Royal Charter 1778), of which Cullen was an early member. Alexander Ainslie's Edinburgh doctoral thesis was published in 1753, but these "papers" are untraced.